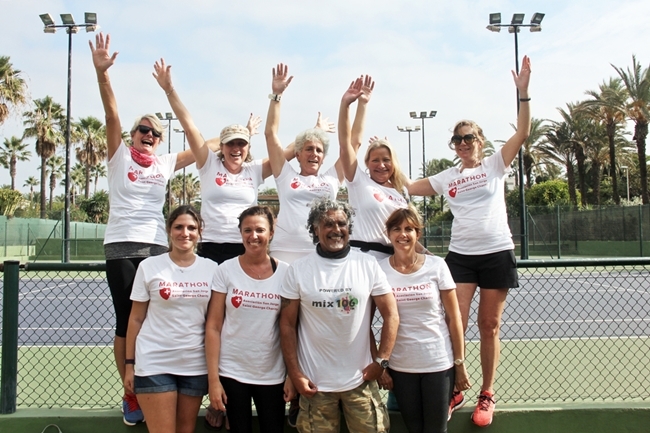 The Duquesa Charitable Society of St George would like to express its gratitude to a group of Sotogrande ladies who walked a full marathon (26 miles – 42 kms) to raise money for charity. This is an annual event, and this year the ladies designated the St George Charity as the chosen beneficiary. The ladies were joined for the walk by Mix 106 fm radio presenter Sid Olivera and the group raised over 2000 euros including a 500 euro donation from Mix 106. The donation will go to supporting the charity’s numerous local projects such as the Christmas Gift Appeal; BuddyUp Group, and the Feed a Child campaign.